Hot off my hook is the Grab-n-Go Hat and Cowl set!! Using Evermore Yarn by Red Heart Yarns, the texture and color of these pieces can’t be beat! And my, oh my, are they warm! I’m ready for winter and whatever it has to bring!! -I used Red Heart Evermore Yarn but you can use any bulky size yarn to make this cowl and hat set. Row 2: Ch up 3 (counts as DC), DC in same St as ch up 3, *FPDC on next 6 Sts, FPDC3TOG, FPDC on next 6 sts, 3 FPDC on next st, repeat from * across, ending with 2 DC in last st, turn. Row 3: Work in both loops doing regular DC on this row, Ch up 3, DC in same st, *DC in next 6 sts, DC3TOG, DC in next 6 sts, 3 DC in next st, Repeat from * across, ending with 2 DC in last st, turn. Row 9: Ch up 1, DO NOT work in same st as ch 1, *SC in next 2 sts, HDC in next 2 sts, DC in next 2 sts, TR in next 3 sts, DC in next 2 sts, HDC in next 2 sts, SC in next 2 sts, Sl st in next st, repeat from * across, ending with sl st in last st.
Row 10: Attach yarn to the corner of your foundation chain, Ch up 4, DO NOT work in same st as ch 4, TR in next 2 sts, *DC in next 2 sts, HDC in next 2 sts, SC in next 2 sts, Sl st in next st, SC in next 2 sts, HDC in next 2 sts, DC in next 2 sts, TR in next 3 sts, repeat from * repeat from * across, ending with TR in last st.
Continue to SC around the entire piece. I know it’s early in the season, but my rule of thumb is that there’s always a good time to sink your crochet hook in a great fashion item. Infinity scarves are quite the statement accessory! This one is no exception! It’s my Passion for Fashion Infinity Scarf. This very easy and fantastic scarf makes a bold statement with the massive wooden buttons on it. The buttons I got on Etsy at Wood Be Fancy. You should check out all the cool buttons that are available on that shop! This is perfect for the approaching cold weather in the winter. Anyone is sure to stand out in this piece. This can be worn with a heavy sweater, a cardigan, over a sweatshirt, or with a great winter jacket! From the moment I tried it on to showcase it in this blog, I fell in love with its versatility. I have to keep one for myself. I have a feeling that a lot of you will think the same way when you’re all finished making one!! After I made the charcoal one in this tutorial, I started picturing it in bold colors such as a deep wine red color or even a dark turquoise or a rich blue tone. This is a fun project geared toward beginners, but anyone can enjoy this project! 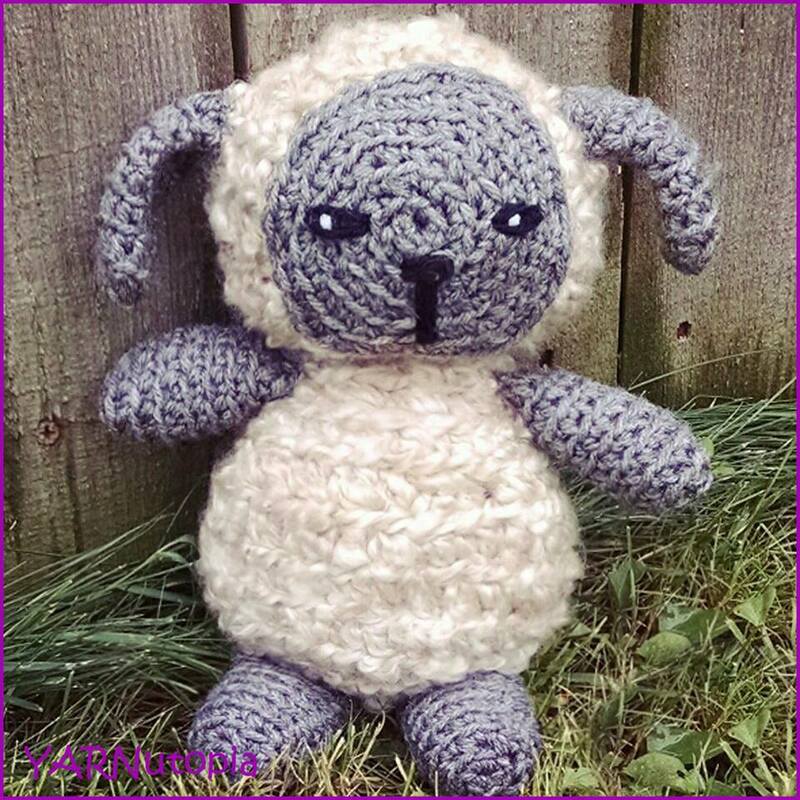 You may sell items made from my pattern, but please reference my name and website (YARNutopia). Thank you, and happy hooking! Row 100: This is your last row and button hole row, it is optional. SC in first 6 sts, ch2, sk 2 sts, sc in the next 6 sts, ch 2, sk 2 sts, sc in the next 6 sts, ch 2, sk 2 sts, sc in the last 6 sts. Sew buttons on opposite end of the scarf corresponding with the button holes. If you have any questions about this pattern, please contact me.